Cordell Hamilton Conway, vocalist, drummer, actor, writer, producer and educator. 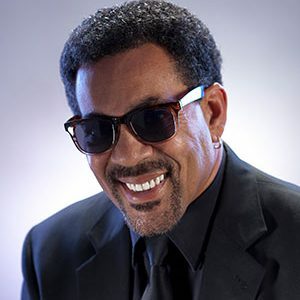 Cordell got his start in the entertainment world as a young musician in Richmond, Virginia playing drums for acts such as Tina Turner, Little Richard, The Isley Brothers, and at 19 years old he even played for “ The Miracles”. He has also played a feature role as one of the lead vocalist with world famous jazz artist Dennis Rowland. Cordell was co-leader of the pop-reggae group “Sanctuary,” where they performed throughout California, the Southwest and the Caribbean Islands. As an actor, Cordell has had roles in theatre, commercials and feature films such as: Posse, Wyatt Earp, Waiting to Exhale and The Kingdom with co star Jamie Foxx. Cordell attended Virginia Union University and has a achieved a B.A. and M.A. from Arizona State University. He is also a former high school teacher and now resides in Phoenix, Arizona. From Coast to coast Cordell has created Miracles with his talent and The Miracles continue. Cordell is also a member of Kappa Alpha Psi.